Over-prescribing of strong anticholinergic medications during rehabilitation after an acute hospital stay may have detrimental effects on elderly patients, a new study has found. 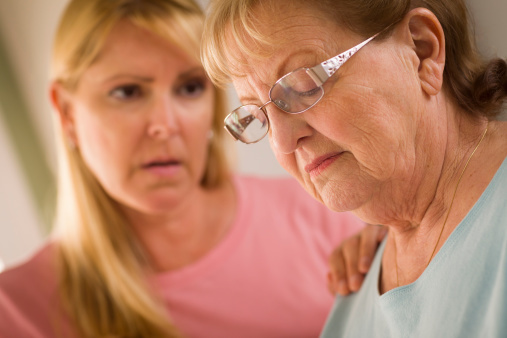 Findings from the study are published in American Journal of Geriatric Psychiatry. Anticholinergics block neurotransmitters and are prescribed for a variety of symptoms, including incontinence, depression, and insomnia. The study, conducted by researchers at Penn State University, included 99 participants all aged 65 or older who suffered from delirium without other neurological problems. They were monitored for 30 days or until their release from rehab, beginning on the day they entered the facility. Physical function was measured by noting the amount of time and assistance patients needed to complete a task (eg, feeding, dressing themselves, walking). Patients’ cognition was measured by being given increasingly longer sequences of numbers to repeat both forwards and backwards until they missed 2 sequences in a row. RELATED: Do Anticholinergic Drugs Up Dementia Risk in PD Patients? Patients who had been taking a medication with moderate or severe anticholinergic effects (25%) registered poorer results on a test of attention than they had during the previous week and also had lower physical function than the previous week. The moderate or severe anticholinergic group also registered worse attention and physical function; patients on anticholinergic medications in general had an average 4-day longer rehab stay vs. patients not on these medications. While anticholinergic medications have shown to be beneficial to some patients, they are known to have considerable adverse effects, and the findings of this study add to those concerns. “For people with dementia, appropriate anticholinergic medication management may help achieve rehabilitation goals and reduce the cost of care,” said Ann Kolanowski, one of the researchers. For more information visit live.psu.edu.